IN MEMORY OF ALISON PARKER AND ADAM WARD OF WDBJ CHANNEL 7 IN VIRGINIA, KILLED IN A SHOOTING TODAY: WE ARE CHARLIE. SUBPOENA TESTIFICUNDUM FOR ELIZABETH RICHTER IN FOY CASE! WHERE DOES THE U.S. STAND ON FREEDOM OF THE PRESS? "WASHINGTON (AP) -- As world leaders linked arms and marched in defiance of terror attacks in Paris, there was one glaring absence: a high-level representative from the United States. President Barack Obama spent the weekend at the White House. Vice President Joe Biden was in his hometown of Wilmington, Delaware. Secretary of State John Kerry was on a long-planned trip to India. Attorney General Eric Holder was in Paris attending a security summit, but did not make an appearance at the march on Sunday. The Obama administration was instead represented by U.S. ambassador to France Jane Hartley." 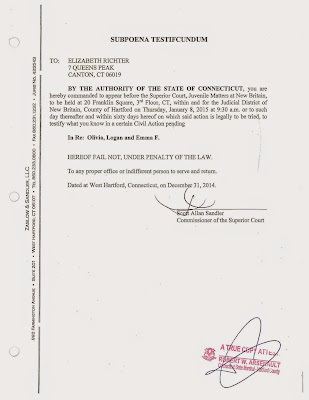 FAMILY COURT ATTORNEYS THREATEN "DIVORCE IN CONNECTICUT" WRITER, ELIZABETH A. RICHTER, WITH JAIL! 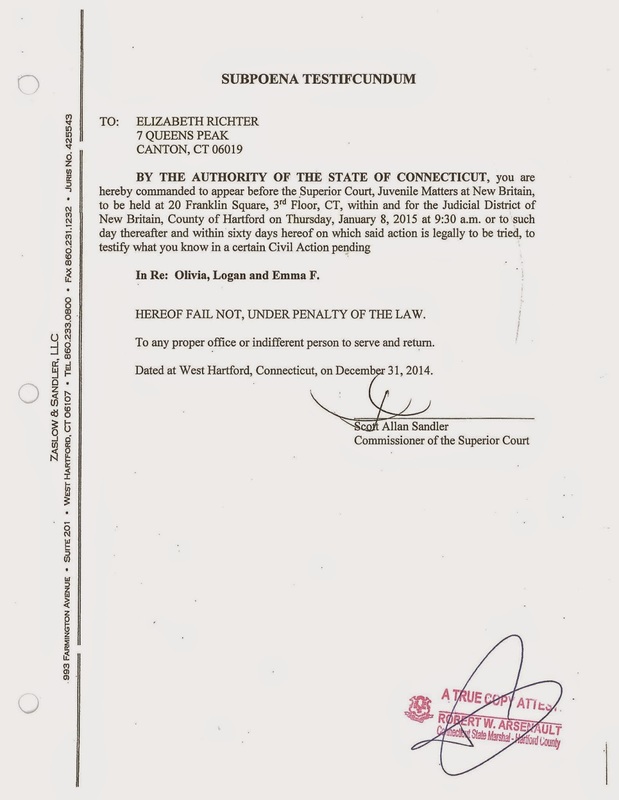 In a bizarre turn of events in the Eric Foy v. Lisa Foy case, writer Elizabeth A. Richter, was threatened with jail time for refusing to reveal her sources or disclose the identity of the mysterious Catharine Sloper, the proprietor of the blog "Divorce in Connecticut" which has been an outspoken critic of the legal system for the last few years. Elizabeth A. Richter, a freelance journalist whose work has occasionally appeared in the freedom fighting blog "Divorce in Connecticut" was on her way to New Haven, CT on Friday, January 2, 2015, when she received an emergency phone call from her partner, Mr. Sherif Iskarous, a long time ADA advocate and family court watcher. He stated that a marshall had appeared at the front door with a subpoena and refused to give it to him. Mr. Iskarous further stated that the marshall took the trouble to cover up the subpoena so that it wasn't possible to see what was on it. Since Elizabeth A. Richter maintains joint custody in relation to her three children with her ex-husband, she was very concerned that the subpoena might have something to do with that matter. Both Ms. Richter and her ex-husband have been in and out of court since 2006 as a consequence of the family court's complete mismanagement of their divorce and custody proceedings. "I was very worried on behalf of my children when I heard about the subpoena. I was mostly concerned that my ex might be raising an issue that would affect them; we have outstanding issues related to health care and college fees. And so when I heard about the subpoena I immediately contacted the marshall so that I could find out what was going on and address any conflicts immediately in the best interests of the children." Instead, what Ms. Richter found when she met with the marshall was that the subpoena had to do with a completely unrelated case. As Elizabeth A. Richter puts it, "When I saw the subpoena, I just laughed and laughed because I was so relieved that it wasn't related to some action re my kids. I had no idea what the subpoena was for. There was no case number on the subpoena so I couldn't identify it, and there were the names of children without a last name. I was hardly likely to have any idea what it was all about." For a while, Ms. Richter was unsure of what she should do with the subpoena which required her to appear in court the following Thursday, January 8, 2015, at 9:30am in New Britain Juvenile Court. As a victim of Connecticut Family Court, Elizabeth Richter has Legal Abuse Syndrome, a form of PTSD as a result of the many ways in which she has been abused in Hartford Family Court, i.e. being denied her due process rights, being denied the right to present her evidence and testimony, and being regularly browbeaten and threatened not only by her own attorneys, but also by the judges in her case. This meant that her first reaction to the subpoena was to simply ignore it and hope that it would go away. But the majority of the information in this article was available publically online at the time it was written with content that was known to be part of the public domain. Thus, it made no sense to hold Divorce in Connecticut responsible for publishing news that was readily available elsewhere and that, to Ms. Richter's knowledge and belief, had already appeared generally on other websites, as Judge Frazzini acknowledged when he rescinded the order against the "Connecticut Law Tribune" way back on December 3, 2014. The bottom line is that the subpoena was a form of harassment, a brazen attempt to follow up a gag on mainstream media with threats against a citizen journalist. During the course of our conversation, Elizabeth Richter pointed out that she only occasionally has an article published on the online divorce website using her byline and, in her opinion, she should not be held responsible for content not under her name. In addition, as Ms. Richter understands it, the website itself does have the right to publish information that it received based upon our constitutional right to freedom of the press as American citizens. On Wednesday, the day before the juvenile court hearing, Elizabeth A. Richter met with her family attorney to ask what could be done. After reading through the subpoena, and making some phone calls, essentially, her attorney told her that she would have to disclose her news sources or face jail. Further, she stated that Attorney Scott Sandler wanted to put Ms. Richter on the stand and force her to admit that she was Catharine Sloper. Elizabeth Richter then stated to her attorney that she could not do either. In her words, "If the anonymity of the blog is destroyed, then I might as well shut the blog down. Readers and potential contributors to the blog rely on its anonymity for their own safety." Further, she stated, "As a blog writer, it would be absolutely unethical for me to reveal a source." Ms. Richter's attorney pointed out that Elizabeth Richter's rights as a citizen journalist are not as clear cut as that of a journalist for, say, "The New York Times" and asked what would be the harm of disclosing the information, taking for a moment the position of devil's advocate. But Ms. Richter was adamant that she would not compromise her professional ethics. After calling around, Ms. Richter's attorney was able to engage the services of Attorney Daniel Klau who has also been representing the "CT Law Tribune" in their case in regard to prior restraint. However, before Elizabeth Richter left her office, the attorney advised her to bring her toothbrush and any necessities she might need along with her to court the following day should she end up in jail as the result of her refusal to cooperate. On Thursday, June 8, 2015, Elizabeth Richter appeared in juvenile court. Naturally, after all the difficulties she had in Harford Family Court the experience was particularly hard for her. As Ms. Richter put it, "Whenever I go to Court my blood pressure goes through the roof." As she was warned to do, in case she ended up in jail, Ms. Richter brought with her a toothbrush and toothpaste among other essentials. She also brought along with her a membership card from the National Writer's Association as well as a press pass from the Association identifying her as a member of the media which she passed along to Attorney Daniel Klau. The morning progressed and Attorney Klau submitted a motion defending Elizabeth Richter's rights and spoke to the attorneys present on her behalf. In the course of doing so, it came to Elizabeth Richter's attention that it was the mother's attorney that had called her to be present at the legal proceedings. "That is particularly ironic." stated Elizabeth Richter when she heard, "Ordinarily the Divorce in Connecticut website is in full support of mothers going through tough divorces. If I had my way I'd be standing shoulder to shoulder with Lisa Foy. But not in this particular circumstance. Mother or Father, no matter what, I will not reveal my sources for any reason whatsoever, even if I disagree with what they are doing. 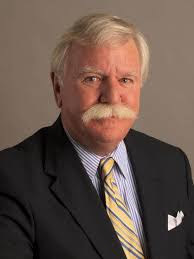 Further, I will stand firm in support of the integrity of the anonymity of the Divorce in Connecticut website." As it turned out, at 2:00p.m. that day, Elizabeth Richter heard from her attorney that her presence was no longer required for the case, the hearings in the case were over for the day, and had been rescheduled for a later date. Ms. Richter could still be called in at that time, but for the better part it looks as though this crisis is over. But the toll on Elizabeth Richter's well-being is not over. During the weekend, Ms. Richter stated, "After the proceedings were over, I went home and slept for several hours. In terms of the wear and tear on me emotionally and physically, I have not yet recovered. My blood pressure has not yet settled down." Not only that, the cost of the four hours Ms. Richter spent with her family attorney and the expenses generated by obtaining for her defense one of the State's top attorneys, Attorney Daniel Klau, an expert in Freedom of the Press issues, will probably run to several thousand dollars. If private citizens can be dragged to court and subjected to interrogation and threatened with jail and put under intense financial duress, how is it possible for them to express themselves freely. As Elizabeth Richter put it, "Rep. Ed Vargas has compared the State of Connecticut to North Korea, and he is not wrong in saying so. The State of Connecticut Judicial Branch is desperate to silence its critics and is willing to go to any lengths to do so. What happened to me this week with these threats to put me in jail and put me out of business is a clear example of that." It is clear that the attorneys in this case had all the information they needed that day and were simply abusing their legal authority to oppress and intimidate a critic. 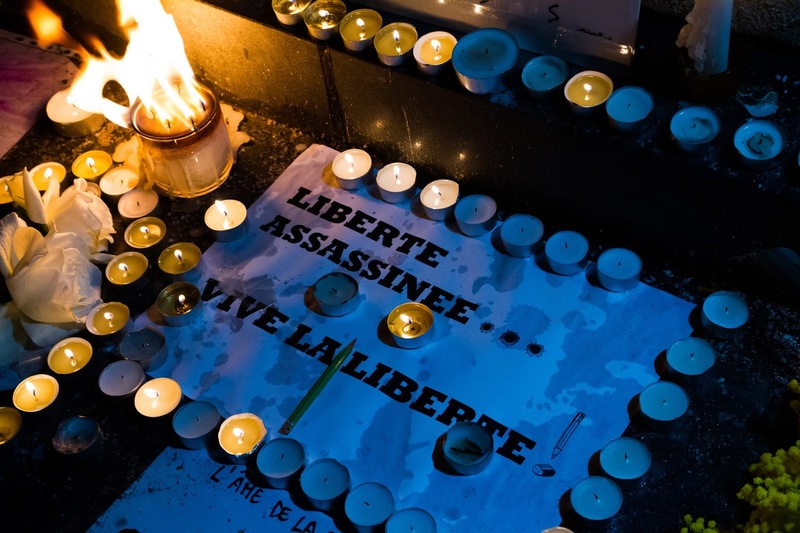 The actions of the Connecticut Judicial Branch in attempting to silence Elizabeth Richter are particularly sobering in the light of the events at the magazine Charlie Hebdo. When you silence the press, you silence all forms of liberty and freedom. CROWDS STREAMING IN FOR CHARLIE HEBDO UNITY RALLY IN PARIS, FRANCE! LIVE STREAM COVERAGE OF CHARLIE HEBDO UNITY RALLY! WORLD LEADERS ATTEND MASSIVE UNITY RALLY ! Government officials say "exceptional measures" will be in place to protect massive "unity rally"
(CNN) Dignitaries and world leaders are expected to join hundreds of thousands of people in France on Sunday in what government officials are calling a "unity rally" in defiance of a terrorism spree that claimed 17 lives. French officials announced "exceptional measures" to protect not only the throngs expected to gather near the Place de la Republique in central Paris, but also a veritable who's who of foreign leaders that will test security forces of a nation rocked by days of terrorist violence. The massive 3 p.m. (9 a.m. ET) rally comes as French law enforcement officers are being told to erase their social media presence and to carry their weapons at all times because terror sleeper cells have been activated over the last 24 hours in the country, a French police source who attended a briefing Saturday told CNN terror analyst Samuel Laurent. Amedy Coulibaly, a suspect killed Friday during a deadly kosher market hostage siege, had made several phone calls about targeting police officers in France, according to the source." DIVORCE IN CONNECTICUT HONORS FRANCE AND CHARLIE HEBDO! NATALIE NOUGAYREDE TALKS ABOUT THE MEDIA'S RIGHT TO PUBLISH! WE ARE MAD! WE ARE RASCALS! WE ARE ARTISTS! WE HAVE THE RIGHT TO SPEAK! THE PEOPLE OF FRANCE STAND IN SUPPORT OF FREEDOM OF EXPRESSION! OBAMA SPEAKS OUT IN SUPPORT OF FREEDOM OF EXPRESSION! BILL MAHER SPEAKS OUT FOR FREEDOM OF THE PRESS!